Hemifacial spasm (HFS) is a rare neuromuscular disease characterised by irregular, involuntary muscle contractions (spasms) on one side of the face. Hemifacial spasm (HFS) is a rare neuromuscular disease characterised by irregular, involuntary muscle contractions (spasms) on one side of the face. The first signs are usually a twitching in the muscles of the left eyelid. These spasms can be strong enough to pull the eye closed and cause tears. In severe cases, these spasms can limit function due to involuntary eye closing or the impact they have on speaking. It can be caused by an injury to the facial nerve, a tumour or blood vessel compressing the nerve, or Bell’s palsy. The most common cause is compression of the facial nerve by the anterior and inferior cerebellar artery where the nerve begins at the brainstem. HFS is usually not painful and is not considered to be a health hazard. However, in advanced cases the eyes may remain squeezed shut for long enough to become dangerous when driving, for example. If left untreated, the symptoms of HFS can become severe and affect more facial muscles. Twitches can affect the muscles of the mouth and pull it to one side. Over time, all the muscles on one side of the face can be pulled into a permanent frown. 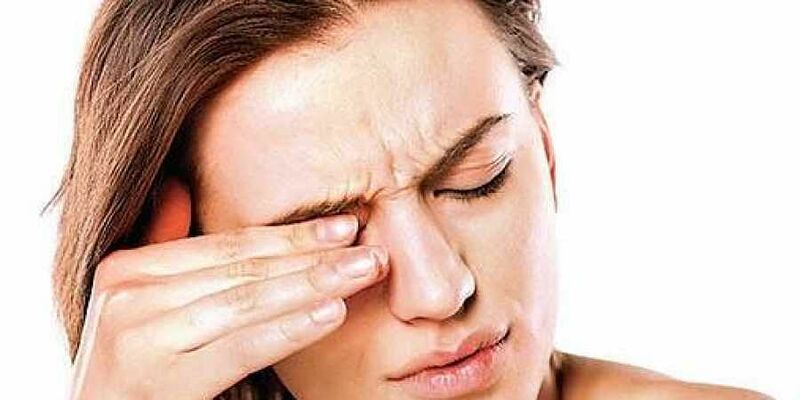 Some individuals may also develop spasms on both sides of the face. Ear pain, a ‘clicking’ sound in the ear, and changes in hearing can also be symptoms of this condition. Hearing loss also occurs in some cases. Symptoms of HFS usually develop when people are between 40 and 50 years of age. As the spasms are involuntary, the only way to prevent the onset of muscle twitches once the condition develops is through treatment. Since HFS is a neuromuscular disorder characterised by frequent, involuntary contractions of muscles on the face, the condition can continue until half of the face appears to ‘droop’. Western medical treatments include surgery, botulinum toxin (botox) injections and medications to relax muscles. But the prognosis depends on how one responds to the treatments; the results of which may have lasting effects for the rest of an individual’s life. Acupuncture is known to be beneficial for nervous system disorders. Points on the face and body are thought to stimulate proper nervous system function. Local points, or those in the affected area, are often used as main components in acupuncture’s management of facial paralysis and twitching. Additionally, certain points can be joined together by one needle. Two points often joined are gallbladder 14 and yuyao, a point that doesn’t lie on a meridian. Yuyao is found in the middle of your eyebrow, with gallbladder 14 residing one inch above it. These points help with deviation of the mouth and eye, drooping and twitching eyelids and facial pain.Stomach points 2, 4 and 6 are also recommended for mouth deviation, drooling, numbness in the face and contraction of facial muscles.Additionally, you may choose stomach point 36 and triple warmer 6— located on your leg and arm, respectively, to help rebuild qi and blood.